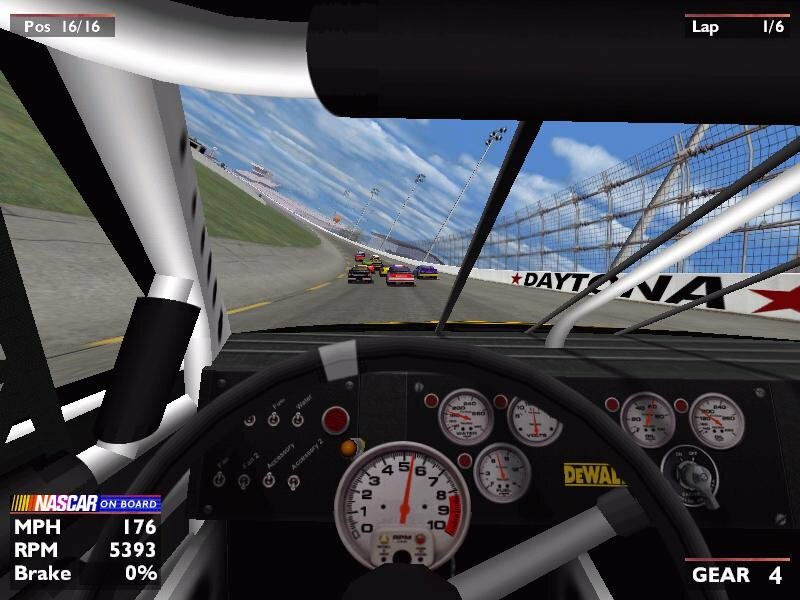 NASCAR Heat offers both simulation and arcade-style racing. 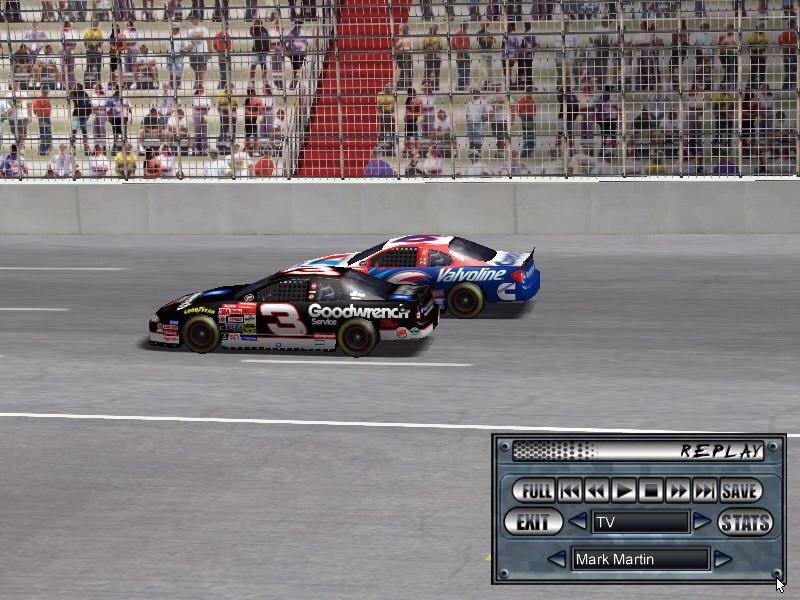 Normal (default) difficulty gives you sticky-handling cars that rarely spin. This allows first time players to get a quick out-of-the-box thrill. 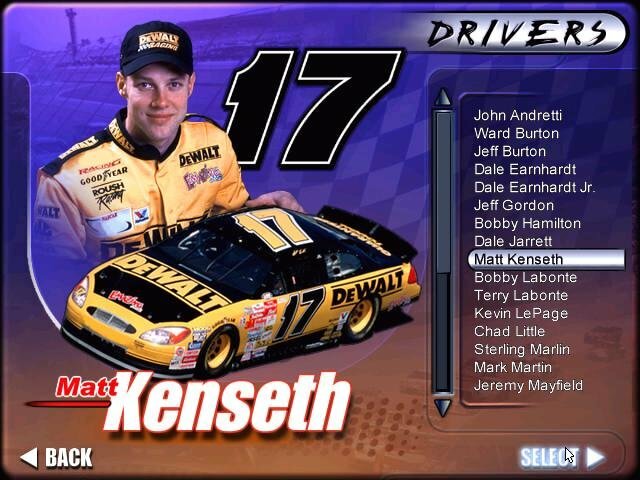 In fact, one claim made by the game is that “every race is fun whether you’re a first time rookie or seasoned pro!” and NASCAR Heat does deliver immediately. 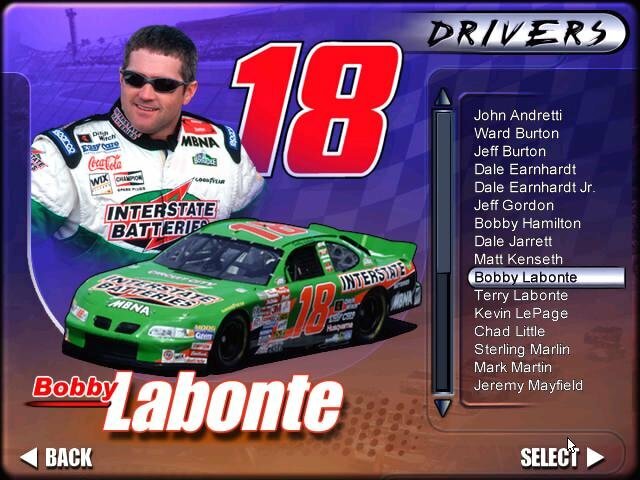 You’ll race with guys like Gordon, Earnhardt, Stewart, Jarrett, and Labonte. The handling is very impressive, as it seems your car is on a rail in every turn. 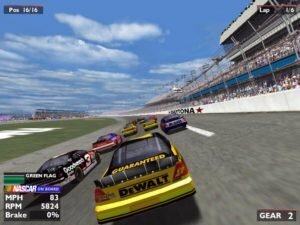 In Normal mode, damage modeling is non-existent and crashing other cars rarely causes yellow flags. Lying on your roof? Just hit a key to be put right back in the action. 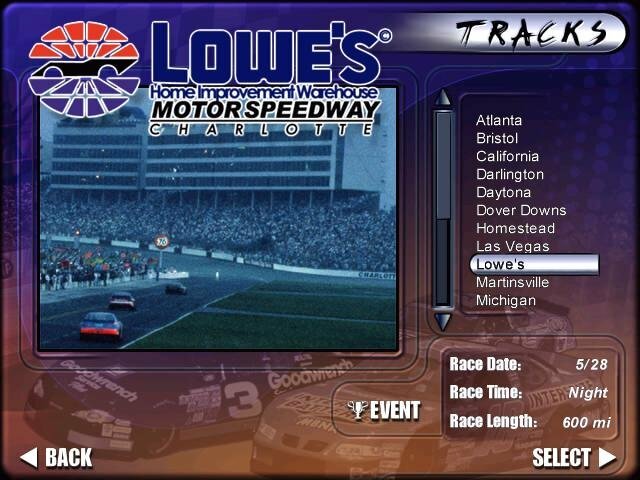 The normal mode is great to give you a taste of Winston Cup without the game making things excessively difficult for new-time racers, but NASCAR Heat has a lot more to offer than just a quick tour of your favorite tracks. 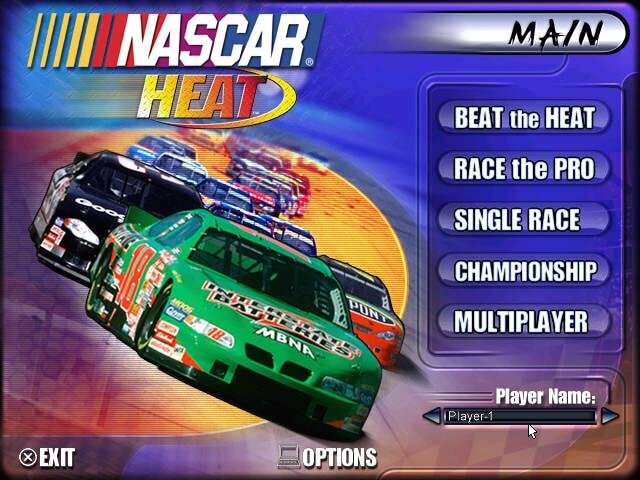 The Beat the Heat challenge is one of the game’s best innovations. 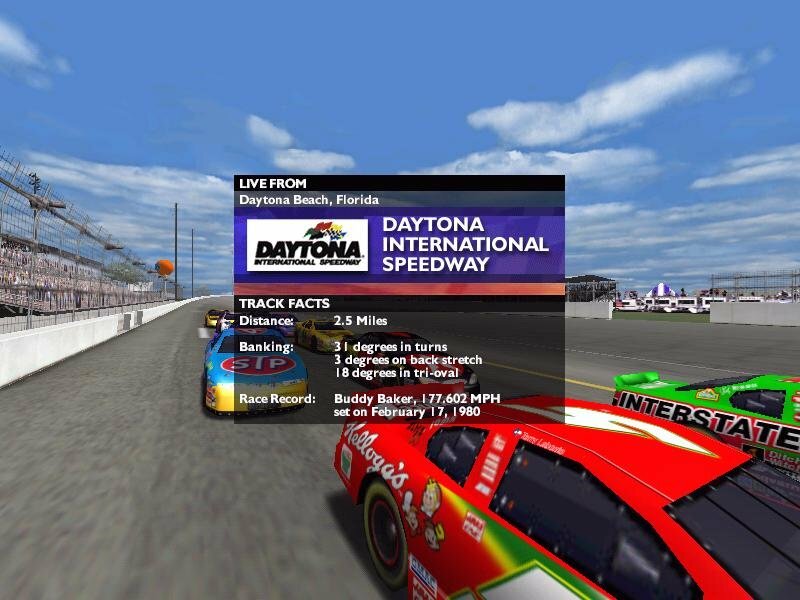 This mode features simple and complex challenges; some based on real historical NASCAR events. 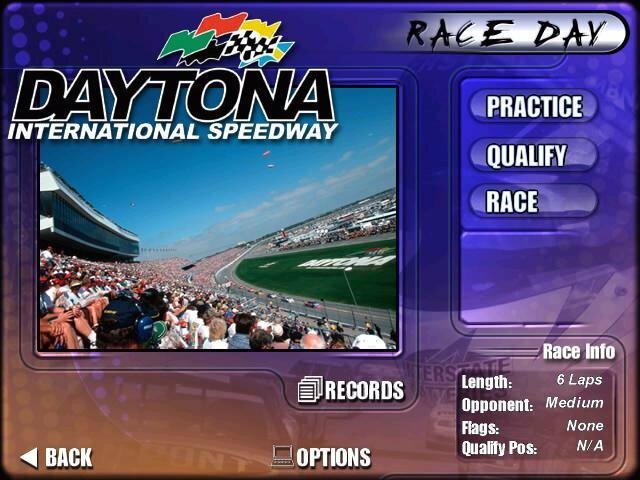 Depending on your performance, you’ll receive a gold, silver, or bronze trophy. 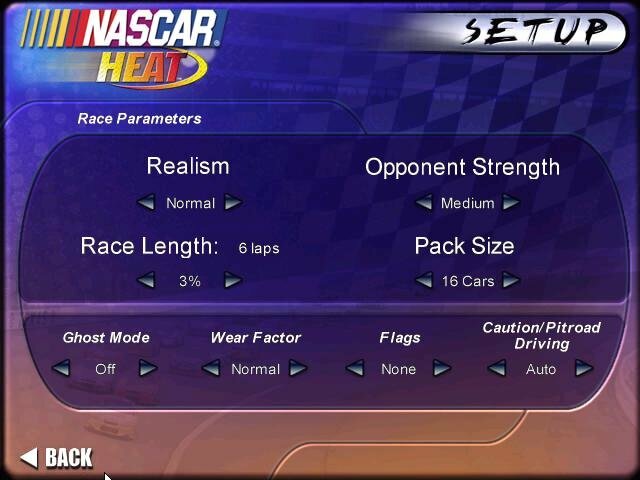 The entire Beat the Heat portion of the game is played in Normal mode with no option for realistic handling. You can use this shortcoming to ram the AI or use them as a moving wall in order to succeed. When you reach the final challenge in each segment you come face to face with one or more of NASCAR’s finest, which lends an entertaining authenticity to the game that hasn’t existed in previous NASCAR offerings. 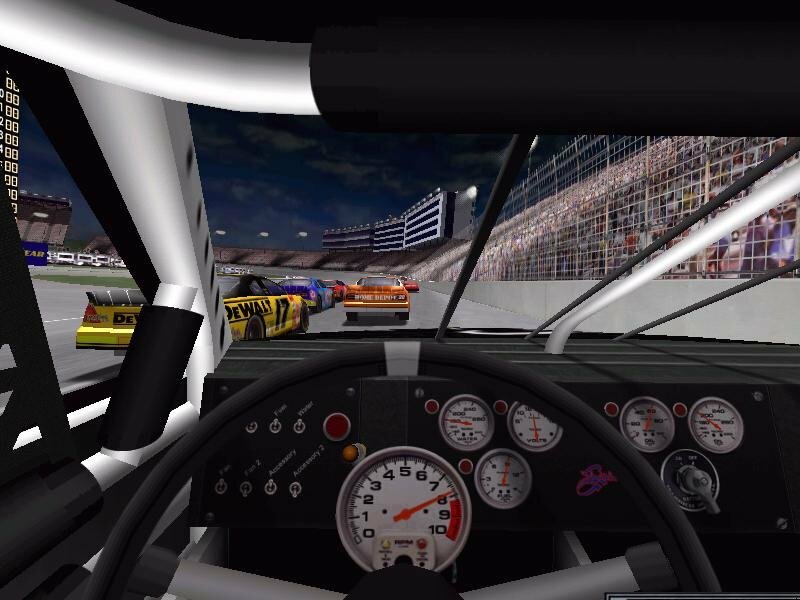 While Normal offers an accessible driving model, Expert cranks up the simulation to a more realistic level. The physics in Expert are in fact so different that you have to unlearn the bad habits you gained at the lower difficulty level. That’s why it’s a shame you can’t play the entire game, Beat the Heat and all, on Expert difficulty. 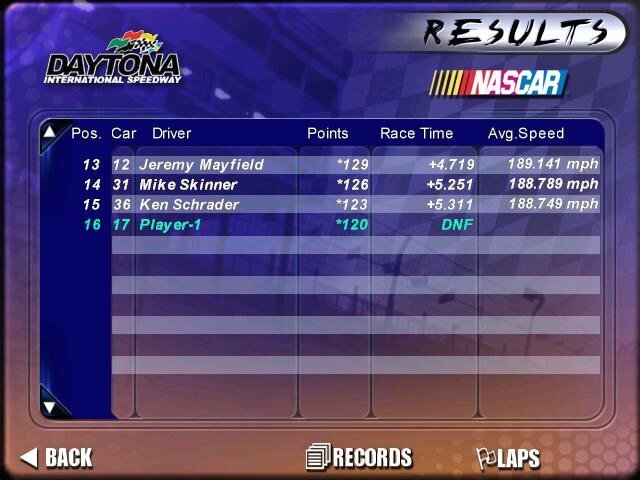 Those bad habits quickly become frustrating when you take to the track for some single races or an entire championship on Expert. The game’s major shortcoming is the limited AI. You’re likely to end up backwards or on your lid through no fault of your own. Computer driven cars rarely move from what seems to be a slot they’re glued into. Human players tend to bobble around in the corners a bit and not hold a steady line. 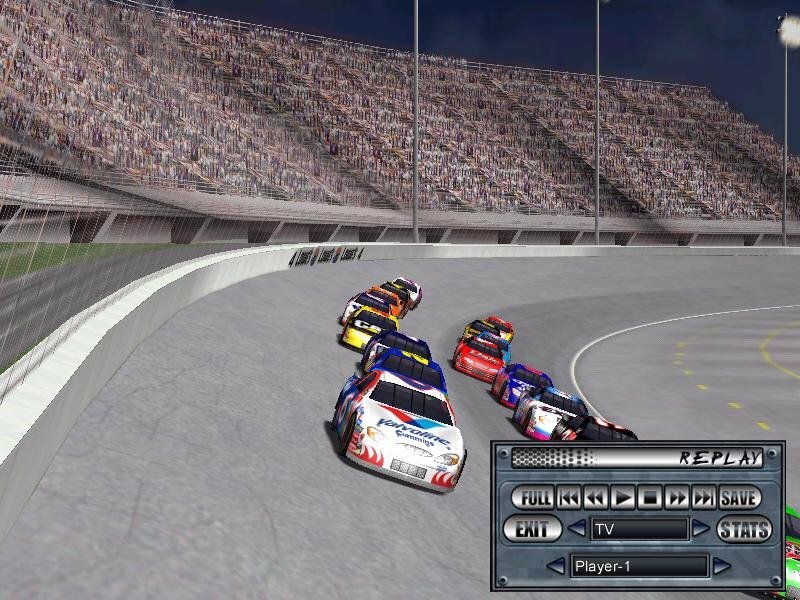 This creates havoc as the AI will follow its straight line with the precision of a computer, while tapping your rear quarter and turning you right around. 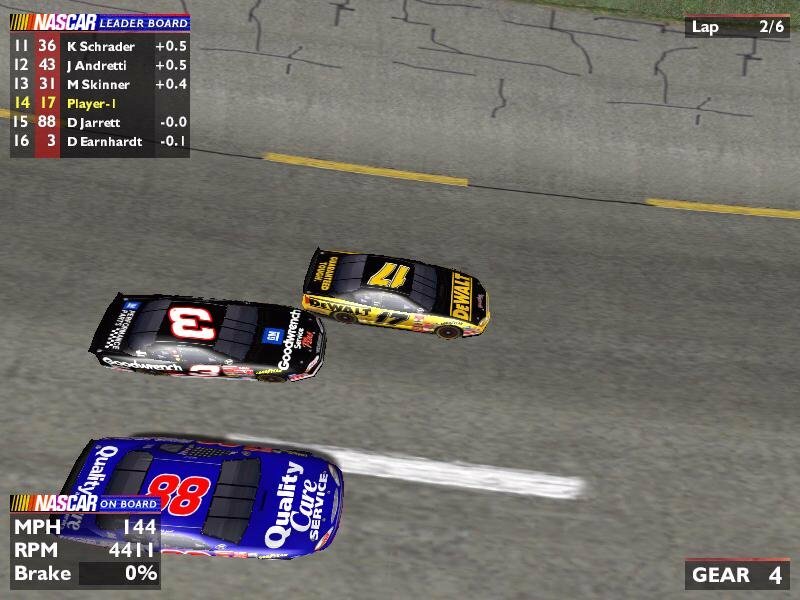 It’s also annoying when you lean on the AI cars and you can’t get them to budge. The same tap that could send you out of contention doesn’t hurt the AI. 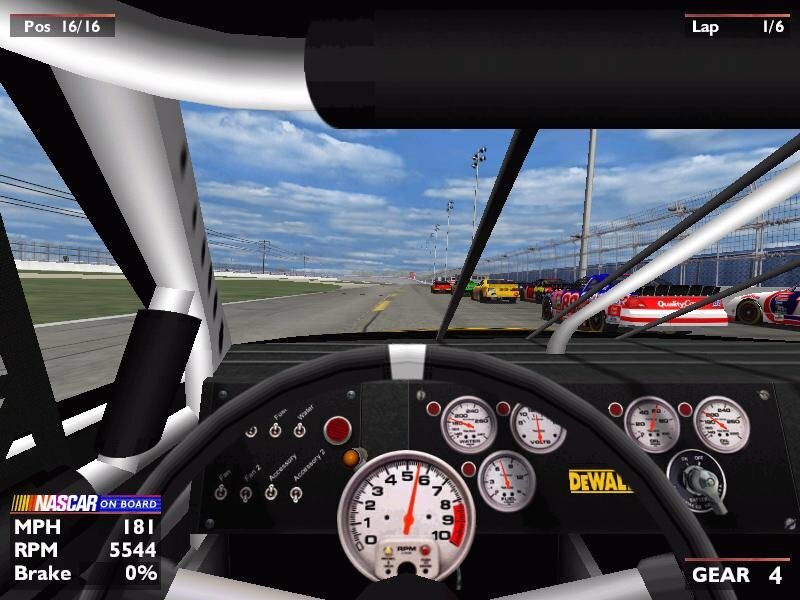 The AI problems in NASCAR Heat are frustrating because it has such beautiful graphics. 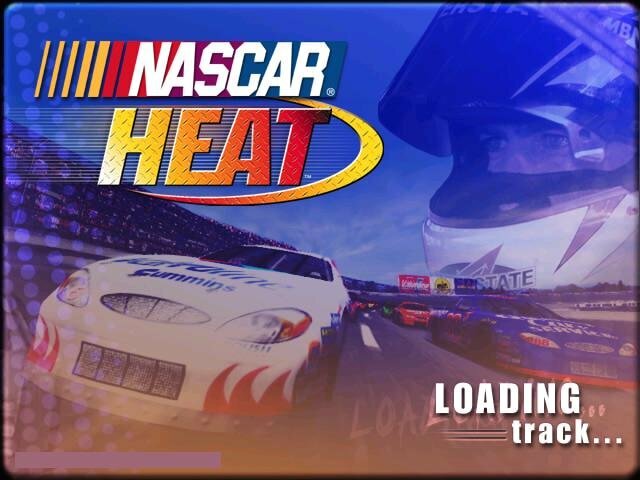 If you love to ogle polygonal race cars, with big booming V8’s blaring through your speakers, by all means grab this game.